On 28th October, 1918, Admiral Franz von Hipper and Admiral Reinhardt Scheer, planned to dispatch the fleet for a last battle against the British Navy in the English Channel. Navy soldiers based in Wilhelmshaven, refused to board their ships. The next day the rebellion spread to Kiel when sailors refused to obey orders. The sailors in the German Navy mutinied and set up councils based on the soviets in Russia. 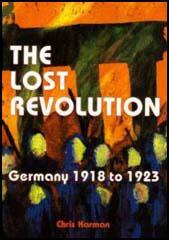 By 6th November the revolution had spread to the Western Front and all major cities and ports in Germany. Kurt Eisner, the leader of the Independent Socialist Party, called for a general strike. As Paul Frölich has pointed out: "They (Eisner and his political supporters) were enthusiastic about the idea of the political strike especially because they regarded it as a weapon which could take the place of barricade-fighting, and it seemed a peaceable weapon into the bargain." Kurt Eisner had the support of the 6,000 workers of the munitions factory in Munich that was owned by Gustav Krupp. Many of them had come from northern Germany and were much more radical than those of Bavaria. The city was also a staging post for troops withdrawing from the Western Front. It is estimated that the majority of the 50,000 soldiers also supported Eisner's revolution. The anarcho-communist poet, Erich Mühsam, and the left-wing playwright, Ernst Toller, were other important figures in the rebellion. Kurt Eisner wrote in a letter dated 14th November to Gustav Landauer: "What I want from you is to advance the transformation of souls as a speaker." 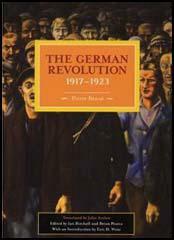 Others who arrived in the city to support the new regime included Otto Neurath, Silvio Gesell and Ret Marut. Landauer became a member of several councils established to both implement and protect the revolution. Eisner remained in power by granting concessions to the SDP. This included agreeing to the establishment of a regular security force to maintain order. As Chris Harman pointed out: "In office without any power base of his own, he was forced to behave in an increasingly arbitrary and apparently irrational manner". On 21st February, 1919, Eisner decided to resign. On his way to parliament he was assassinated by Anton Graf von Arco auf Valley. It is claimed that before he killed the leader of the ISP he said: "Eisner is a Bolshevist, a Jew; he isn't German, he doesn't feel German, he subverts all patriotic thoughts and feelings. He is a traitor to this land." Johannes Hoffmann, of the SDP, replaced Eisner as President of Bavaria. Konrad Heiden wrote in his biography of Adolf Hitler: "Like Lenin, he had the peasants and workers on his side, but all the educated classes, the officers, officials, students, against him; in such a case there is no difference between Christian and Jew. Belatedly the intellectuals grew ashamed of their cowardice; they grew ashamed when they perceived that there was no danger. Their radical hatred found its embodiment in leagues like the Thule Society. While the Rosenbergs, the Hesses, the Eckarts, and others whose names have been forgotten were still planning - such an act, after all, was dangerous - a man whom they had insulted and cast aside got ahead of them. The League had rejected Count Anton Arco-Valley, a young officer, for being of Jewish descent on one side. Determined to shame his insulters by an example of courage, he shot Eisner down in the midst of his guards on the open street. A second later he himself lay on the ground, with a bullet through his chest. Eisner's secretary, Fechenbach, sprang forward and saved the assassin from being trampled by the boots of the infuriated soldiers. A mass insurrection broke out, a soviet republic was proclaimed." One armed worker walked into the assembled parliament and shot dead one of the leaders of the Social Democratic Party. Many of the deputies fled in terror from the city. Max Levien, a member of the German Communist Party (KPD), became the new leader of the revolution. Rosa Levine-Meyer argued: "Levien.... was a man of great intelligence and erudition and an excellent speaker. He exercised an enormous appeal of the masses and could, with no great exaggeration, be defined as the revolutionary idol of Munich. But he owed his popularity rather to his brilliance and wit than to clear-mindedness and revolutionary expediency." Ernst Toller, a member of the Independent Socialist Party, became a growing influence in the revolutionary council. Rosa Levine-Meyer claimed that: "Toller was too intoxicated with the prospect of playing the Bavarian Lenin to miss the occasion. To prove himself worthy of his prospective allies, he borrowed a few of their slogans and presented them to the Social Democrats as conditions for his collaboration. They included such impressive demands as: Dictatorship of the class-conscious proletariat; socialisation of industry, banks and large estates; reorganisation of the bureaucratic state and local government machine and administrative control by Workers' and Peasants' Councils; introduction of compulsory labour for the bourgeoisie; establishment of a Red Army, etc. - twelve conditions in all." Eugen Levine, a member of the German Communist Party (KPD), arrived in Munich from Berlin. The leadership of the KPD was determined to avoid any repetition of the events in Berlin in January, when its leaders, Karl Liebknecht, Rosa Luxemburg and Leo Jogiches, were murdered by the authorities. Levine was instructed that "any occasion for military action by government troops must be strictly avoided". Levine immediately set about reorganising the party to separate it off clearly from the anarcho-communists led by Erich Mühsam and Gustav Landauer. He reported back to Berlin that he had about 3,000 members of the KPD under his control. Levine pointed out that despite the Max Levien declaration, little had changed in the city: "The third day of the Soviet Republic... In the factories the workers toil and drudge as ever before for the capitalists. In the offices sit the same royal functionaries. In the streets the old armed guardians of the capitalist world keep order. The scissors of the war profiteers and the dividend hunters still snip away. The rotary presses of the capitalist press still rattle on, spewing out poison and gall, lies and calumnies to the people craving for revolutionary enlightenment... Not a single bourgeois has been disarmed, not a single worker has been armed." Levine now gave orders for over 10,000 rifles to be distributed. Eugen Levine announced that the German Communist Party had doubts about the proclamation of the Soviet Republic, but that the party would be in "the forefront of the fight" against any counter-revolutionary attempt and urged the workers to elect "revolutionary shop stewards" in order to defend the revolution. Levine argued that they should "elect men consumed with the fire of revolution, filled with energy and pugnacity, capable of rapid decision-making, while at the same time possessed of a clear view of the real power relations, thus able to choose soberly and cautiously the moment for action." Rosa Levine-Meyer argued: "The streets were filled with workers, armed and unarmed, who marched by in detachments or stood reading the proclamations. Lorries loaded with armed workers raced through the town, often greeted with jubilant cheers. The bourgeoisie had disappeared completely; the trams were not running. All cars had been confiscated and were being used exclusively for official purposes. Thus every car that whirled past became a symbol, reminding people of the great changes. Aeroplanes appeared over the town and thousands of leaflets fluttered through the air in which the Hoffmann government pictured the horrors of Bolshevik rule and praised the democratic government who would bring peace, order and bread." Eugen Levine pointed out that Colonel Franz Epp posed a serious threat to the revolution: "Colonel Epp is already recruiting volunteers. Students and other bourgeois youths are flocking to him from all sides. Nuremberg declared war on Munich. The gentlemen in Weimar recognise only Hoffmann's government. Noske is already whetting his butcher's knife, eager to rescue his threatened party friends and the threatened capitalists." With Ebert's troops massing on Bavaria's northern borders, the Red Guards began arresting people they considered to be hostile to the new regime. On 29th April, 1919, eight men were executed after being found guilty of being right-wing spies. Rosa Levine-Meyer, the author of Levine: The Life of a Revolutionary (1973) wrote: "It was never established who ordered the shooting. None of the Communist leaders were at that time in the building. Levine for one left it long in advance of the deplorable act." Ten members of the Thule Society, the anti-Semitic precursor of Nazism, were also murdered. Ernst Toller was arrested and charged with high treason. Toller expected to be found guilty and sentenced to death but his friends began an international campaign to save his life. At his trial Toller argued: "We revolutionaries acknowledge the right to revolution when we see that the situation is no longer tolerable, that it has become a frozen. Then we have the right to overthrow it. The working class will not halt until socialism has been realized. The revolution is like a vessel filled with the pulsating heartbeat of millions of working people. And the spirit of revolution will not die while the hearts of these workers continue to beat. Gentlemen! I am convinced that, by your own lights, you will pronounce judgement to the best of your knowledge and belief. But knowing my views you must also accept that I shall regard your verdict as the expression, not of justice, but of power." Max Weber and Thomas Mann gave evidence on his behalf in court and although Toller was found guilty of high treason, the judge acknowledged his "honourable motives" and sentenced him to only five years in prison. Eugen Levine, was arrested by the authorities on 12th May, 1919.Levine's cell was left open in the hope that he would be beaten to death. According to his wife: "Soldiers were constantly patrolling the corridors, entering his cell and keeping him in a state of great suspense." A warder told his wife that "we were told that your husband ordered the execution of 10,000 prison warders and policeman." Eugen Levine accepted that the court would order his execution: "We Communists are all dead men on leave. Of this I am fully aware. I do not know if you will extend my leave or whether I shall have to join Karl Liebknecht and Rosa Luxemburg. In any case I await your verdict with composure and inner serenity. For I know that, whatever your verdict, events cannot be stopped... Pronounce your verdict if you deem it proper. I have only striven to foil your attempt to stain my political activity, the name of the Soviet Republic with which I feel myself so closely bound up, and the good name of the workers of Munich. They - and I together with them - we have all of us tried to the best of our knowledge and conscience to do our duty towards the International, the Communist World Revolution." In court Levine was defended by Count Pestalozza, a member of the Catholic Centre Party. He argued: "Don't send this man to his death, for should you do so, he would not die, he would start to live again. The life of this man would lie on the conscience of the entire community and his ideas would generate the seed of terrible revenge." Eugen Levine was sentenced to death on 3rd June, 1919. The Frankfurter Zeitung wrote that it was the duty of the Social Democrat Party government to prevent the execution "by every means, even at the risk of evoking a cabinet crisis." The Neue Zeitung, which denounced Levine as "the seducer of the Munich proletariat" called for him to be reprieved: "Wide circles, from the government down to the non-socialist community, left no doubt that under the prevailing political conditions, which were the background of Levine's crimes, the application of mercy and political wisdom would be more more appropriate than punishment. Both socialist parties, usually at loggerheads, agreed that this was a case which simply cried out for a reprieve." Levine was shot by firing squad in Stadelheim Prison on 5th July, 1919.